It’s been nearly two months now since former lineal middleweight champion Gennady “GGG” Golovkin tasted defeated for the first time in his career. On September 18th in Las Vegas, the boxing world saw Golovkin suffer a very close majority-decision loss to Canelo Alvarez in a fight that was again highly-disputed. The two men had fought to a controversial 12-round split-draw one year prior as well. Golovkin is taking the loss hard but still looking towards the future. In a recent interview with Fight Hub, Golovkin’s promoter Tom Loeffler discussed what may be next for his star fighter. Not only was Loeffler and Golovkin’s side upset about what happened in the rematch, so too are they upset about the scoring results of both fights. But Loeffler says they are all trying to move forward. 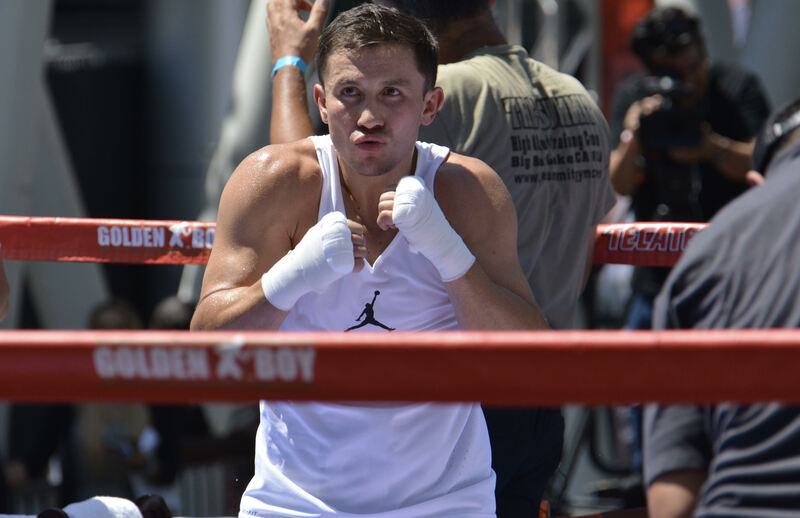 Loeffler noted that the general public seems to believe that Golovkin should have won the fight, and that his popularity has seemed to increase despite his first taste of defeat. But where will Golovkin go next? There are so many options, it seems. Alvarez recently inked a $365 million deal with DAZN over 11 fights, and the ESPN network is heavily involved in the sport once again, with fights also being showcased on their ESPN + streaming app. Loeffler sized all the options up for his fighter, who, at age 36, doesn’t have the most time left in the world.